Grenadian children now have access to the all-local classroom text, Spice Reader, which has been in use in all Grade 1 classes in public schools throughout the State of Grenada, starting 12 September 2016. The purpose of the newly developed Spice Reader is to improve children’s literacy through the use of this more relatable, complementary curriculum material. Approximately 1,630 Grade 1 students within the 57 primary schools throughout the State of Grenada, will benefit from the use of the Spice Reader. Grenada Schools Incorporated (GSI) trustees Leo Garbutt and Lyden Ramdhanny, along with CEO, Andrea Phillip, met with the Hon. Anthony Boatswain, Minister for Education, to officially hand over the Spice Reader, on 7 September 2016, at the Ministry of Education, Human Resource Development and the Environment. During this forum, GSI discussed the benefits of the Spice Reader and how it will be used in conjunction with the already established curriculum, The Language Tree, with Minister Boatswain. 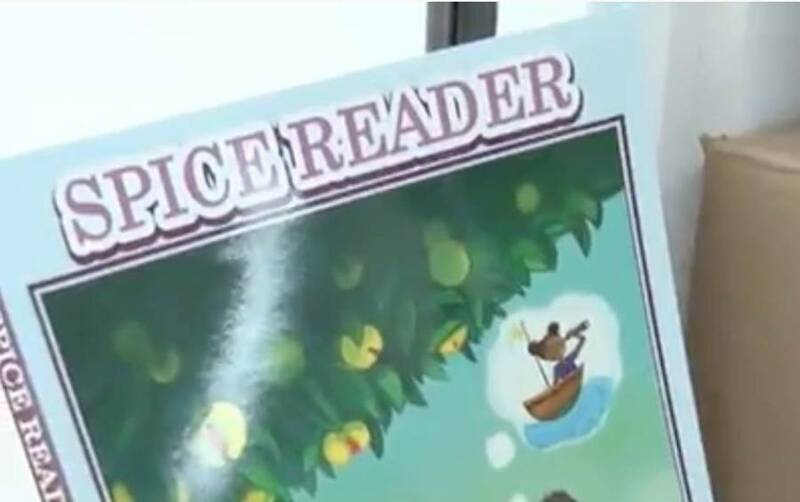 The Spice Reader was developed by a team of local literacy specialists: Sandra Thomas; Gillian Lazarus; Alarna Charles and Henva Simeon; assisted by an external literacy specialist, Olivia Byler, of the world-wide non-profit organization, Room to Read. In the month of July 2016, GSI, in collaboration with the Ministry of Education, Human Resource Development and The Environment and Room to Read, conducted a 2–week training at the Grenada Boys Secondary School, during which approximately 130 teachers and literacy coaches were trained in the use of the Spice Reader and instructed on best practices for effective classroom implementation. Since being implemented, the Spice Reader has received positive reviews. GSI therefore looks forward to future work in the area of literacy and continuous collaboration with the Ministry of Education, Human Resource Development and The Environment, to fulfil their mandate — ‘Strengthening the Foundations for Early Literacy in Grenada’.